Our hydraulic deep draw press are highly rigid, compact, space saving four-pillar type in design. Hydraulic deep drawing press are equipped with PLC, L.V.D.T depth control, photo sensor electronic safety guard, auto ejector. They are specially designed for uniform pressure on blank holder to avoid wrinkles during the process which improves the quality and productivity rate of products. Hydraulic deep draw press is suitable for manufacturing stainless steel utensils and other automobile draw components with high degree of finish, productivity and speed. Hydraulic Deep Draw Press with Blank Holder. Our hydraulic deep draw press is highly rigid, compact, space saving four-pillar type in design. Hydraulic deep drawing press is equipped with PLC, L.V.D.T depth control, photo sensor electronic safety guard, auto ejector. They are specially designed for uniform pressure on the blank holder to avoid wrinkles during the process which improves the quality and production rate of products. Hydraulic deep draw press is suitable for manufacturing stainless steel utensils and other automobile draw components with a high degree of finish, productivity and speed. 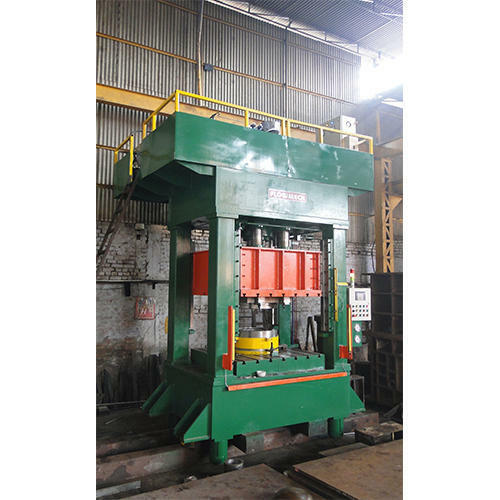 » High Capacity press will be designed column type preferably. 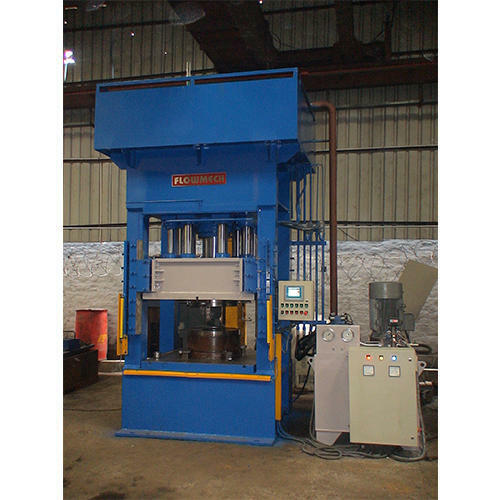 » Hydraulic Deep Drawing Press can be provided with speed as per customer requirement.